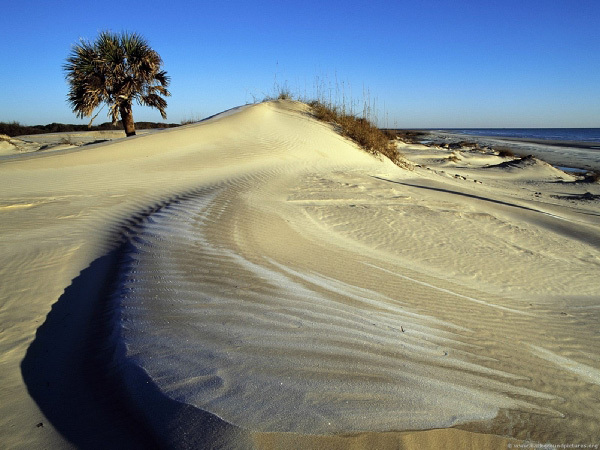 On Georgia’s largest undeveloped barrier island, The Trust for Public Land has conserved more than 2,000 acres for the Cumberland Island National Seashore. Amid the natural wealth of sweeping sand dunes and open marshland, ample evidence of a long human history can be found: the park features more than 85 structures listed on the National Register of Historic Places. Today, visitors can wander and wonder at the remnants of the island’s American Indian and Spanish and British colonial past—including wild horses, descendants of settlers’ stock from the 1700s.